This photo was taken from the tussock tops just above the bush edge on the Mt Stevens track which is in NW Nelson. The view looks south down the Whakamarama Range on the right toward the Gouland Downs in the middle distance. 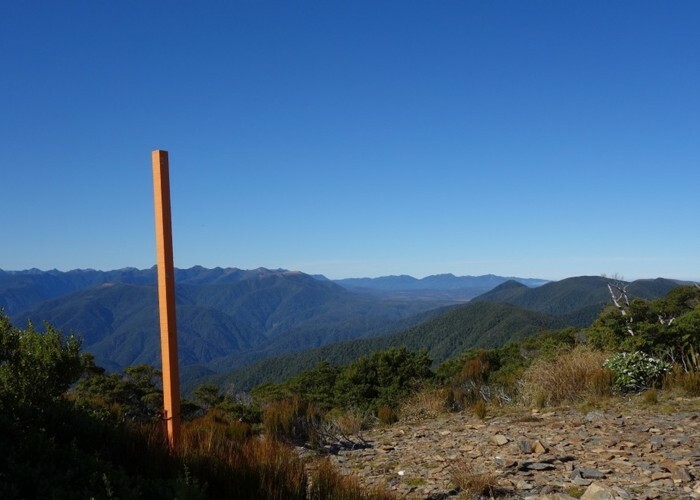 I spent about two hours above the track exit on the Mt Stevens tops checking out the three high points one of which has a trig on it and seeking views of different places. There are cracker views in all directions from different parts of these tops! Added 18 January 2019 by glennjglennj. No revisions. 54 views in the past year (14 per month).